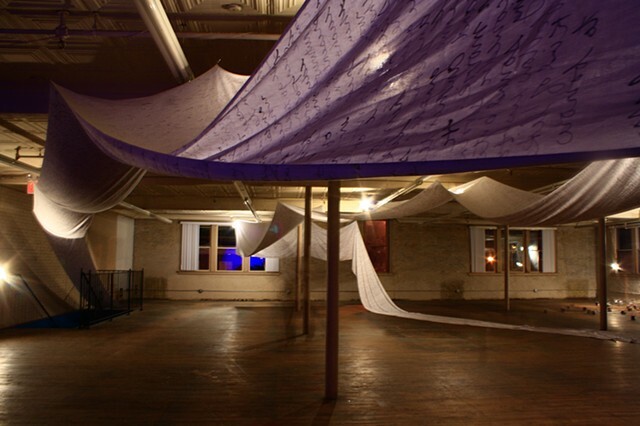 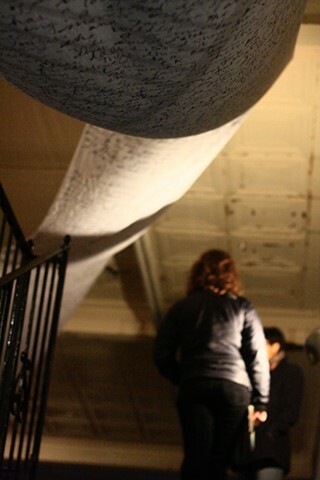 The scroll is a record of the artists dream imagery beginning her first night in St. Louis (September 14, 2012), and ending the day of this show (November 11, 2012). 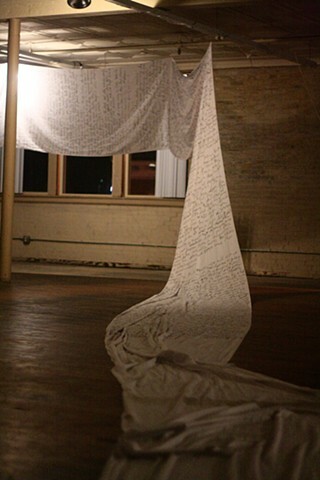 The text replicates the exact phrasing of notes made in her dream journal upon awakening- prioritizing the process of dream recall over grammatical correctness. 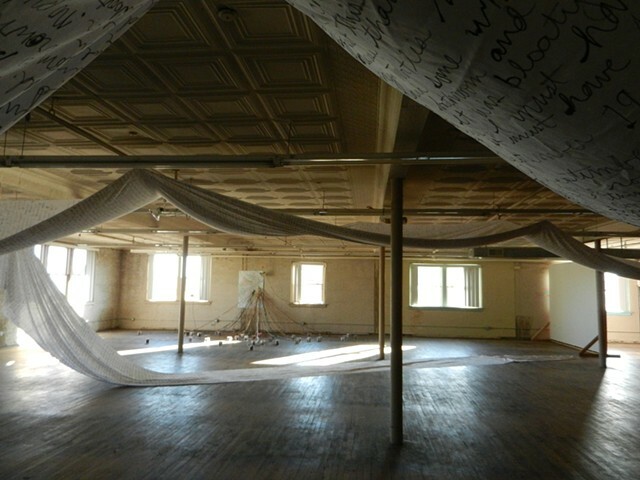 “Sleep Spindles” is a continuation of the artist’s ritual of recording her dreams daily. 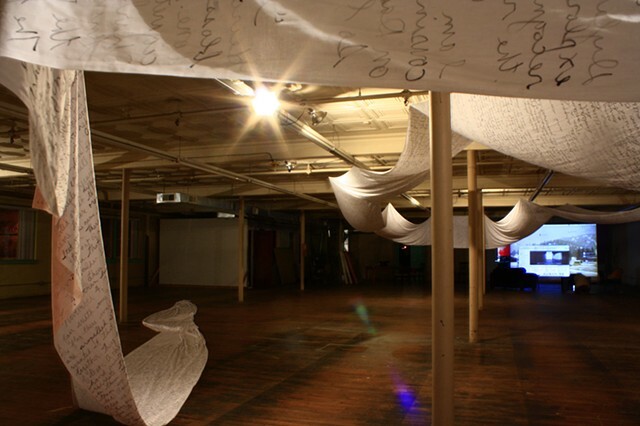 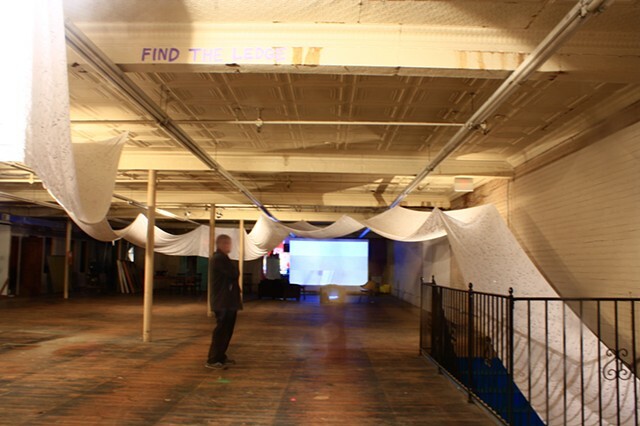 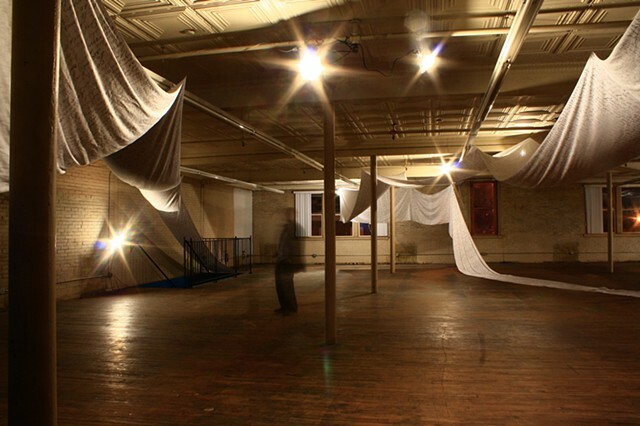 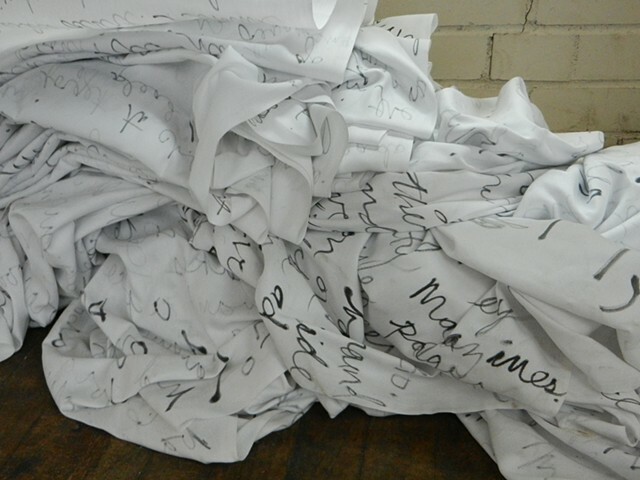 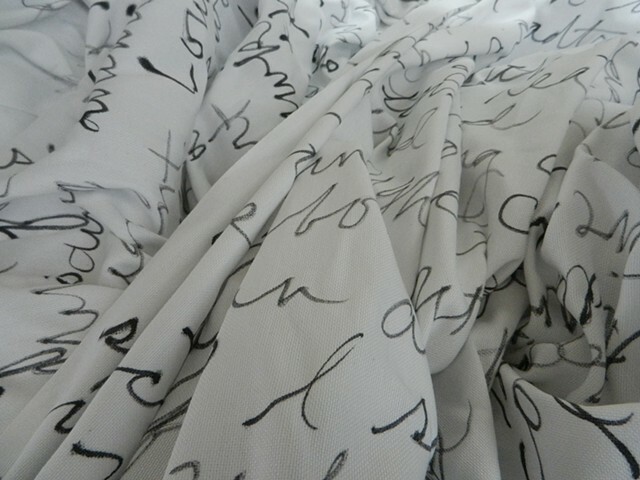 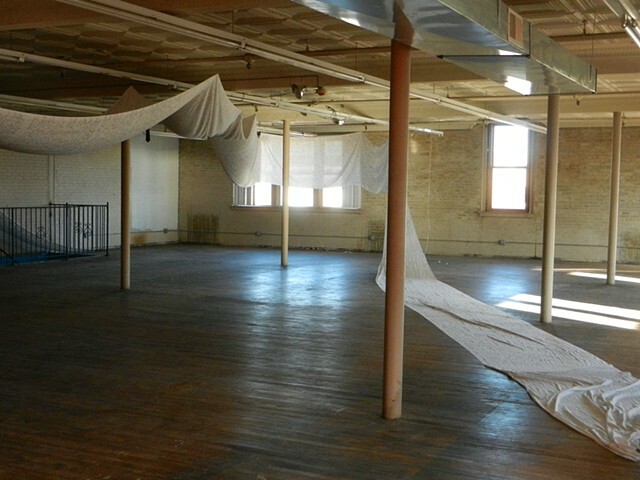 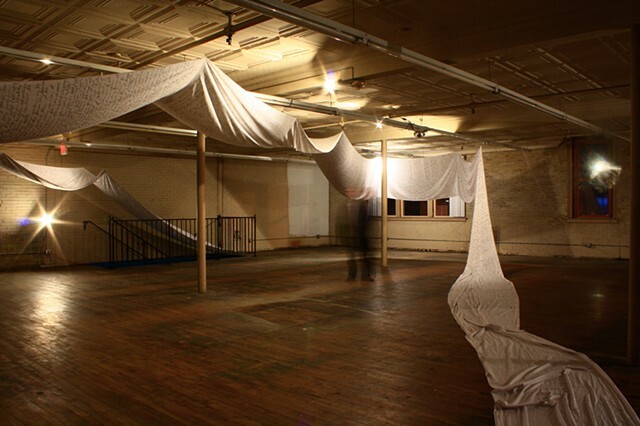 It is a segmented and enlarged representation of another work by the artist entitled “Dream Scroll,” a durational piece, which began in May 2010.